Corporate Citizenship (CC) has emerged as a widely used way of describing the role of business in wider society. As such, CC has been popular with academics, business leaders and politicians alike, as it locates the private corporation within a network of mutual responsibilities and obligations in their social environment. This collection takes stock of the debate by tracing back its origin, identifying the key topics and delineating the key controversies. 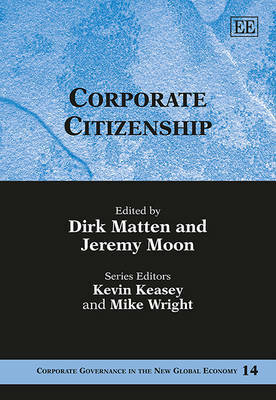 The volume places the discussion on corporate citizenship in a political context within the wider debate on the role of business in society. In doing so, the individual chapters feature major contributions by the leading scholars in this area and provide an overview of ongoing developments, in particular at the transnational level. With an original introduction by the editors, this collection will be an invaluable tool for students, researchers and practitioners with an interest in the field of corporate citizenship.